Kitty Rambles A Lot: My Third Bloggerversary! A couple of weeks ago my little blog turned 3, and I totally forgot about it! I usually organise some sort of bloggerversary giveaway but it slipped my mind so I'll see what I can do! I never thought I'd do so much with my blog and keep it going for so long, so here are some of my favourite things I'd done recently. When Georgina Grogan started her online magazine She Might Be I applied to write for them and was thrilled to be accepted as a main contributor. 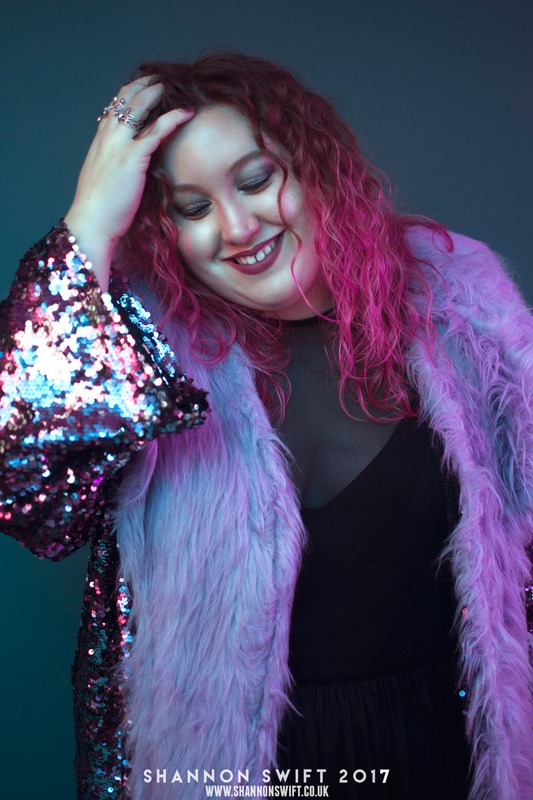 I'm actually the second most active writer on the site and I am SO proud of what I've written for them, particularly 'Let's Reclaim the Word Fat' and 'The Problem with Iskra Lawrence'. Being part of a body positive environment that encourages self love for everyone is so amazing and has really pushed me to keep going with my blogging and be a better human being. Seeing people enjoy what I write is such a mind blowing thing for me! My photoshoot with the utterly awesome Shannon Swift. I haven't written about my experience being on the other side of the camera yet, but I will soon, but I am so so glad I did this and got to meet Shannon. 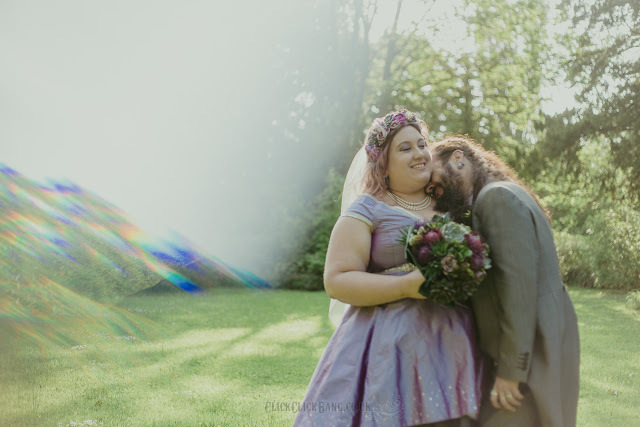 Plus, the photos are beyond beautiful and made me feel so wonderful. 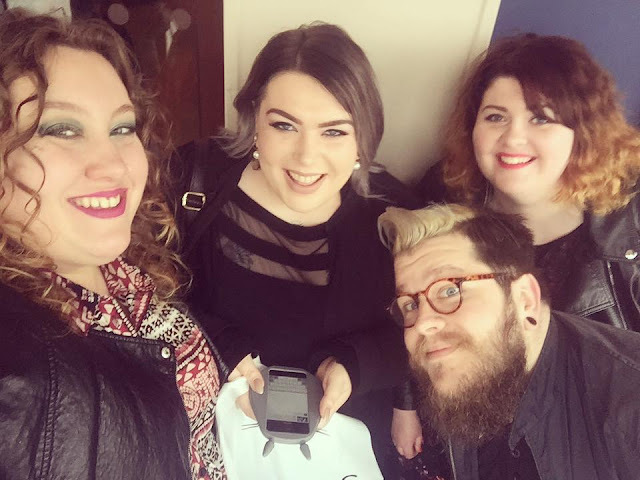 Meet bloggers I've admired for years and make some fantastic friends! I don't have many female friends IRL, but because of blogging I've been surrounded by strong and inspiring women like Steph of Nerd About Town, Nancy of Sugar Darling, Georgina of She Might Be Loved, Bethany of Arched Eyebrow, Tara of Cattitude and Co, it could be a never ending list of inspo. There are so many people on my 'must meet' wishlist, like Marie Southard-Ospina, Alysse Dalessandro and Ushshi. One day! Since my last bloggerversary I married my amazing husband Stu, and I shared the planning and details of our wedding along the way. Check out the wedding tab at the top of my blog for DIY tutorials, advice and so much more. I'm so lucky! I haven't been on many adventures, I don't get invited to many brands events and I live miles from London so my blogger experience isn't the 'typical' London blogger experience by any stretch, but I enjoy what I do and plan to keep on doing it for a little while longer yet! Happy Blog Birthday! It's such an achievement to keep going with a blog for so long! Sounds like you've done some great things recently! I've met Nancy a couple of times and she's lovely. Nancy is just wonderful isn't she? Such a treasure. Thank you! Happy bloggaversarry 😀 I love your positivity and your wedding looks lush!